Country music and the blues don’t immediately strike as being obvious bedfellows, but both have their spiritual home in Tennessee. And music (and barbecue) is what this state is best known for. Choosing the best places to stay in Tennessee might depend on your taste in music as much as your taste in hotels. If you love the blues or rock ’n’ roll then Memphis is for you, if you love country then you’ll find the best places to stay in Tennessee in Nashville, and if you like Bluegrass then Eastern Tennessee is for you. Tennessee is also an extremely beautiful state, from the soft coloured peaks of the Great Smoky Mountains to the rich, green valleys around Nashville, to the steaming hot, almost tropical lowlands around Memphis. Eastern Tennessee is where you’ll find the Smoky Mountains. The landscape of rolling hills, river valleys and rural towns you might recognise from Dolly Parton songs, which is great for hikers, bikers and kayakers. It’s also where you’ll find Dollywood. And green, outdoorsy hub, Chattanooga and kitschy Gatlinburg. And there’s a great art museum, the Hunter Museum of American Art. Nashville is a country music pilgrimage waiting to happen. But in addition to the cowboy boots, line dancing and the honky tonk, Nashville is a culturally rich city, booming commercially and with a young, vibrant atmosphere. Nashville is the kind of city where new things are opening up all the time, from art galleries to innovative restaurants and hip micro-breweries and coffeehouses. And to continue on your musical pilgrimage, there’s Memphis - a dilapidated beauty on the banks of the Mississippi River best known as the home of Graceland: altar to Elvis. Or as the home of the blues. And it’s also got a great reputation for barbecue food. But Memphis is a lot more than that, it’s an old city, with old time-y charms, but also a lively, vibrant city which looks forwards as well as backwards. The best places to stay in Memphis range from basic B&Bs to five star palaces, mirroring the city’s own housing situation - there’s poverty, but there’s also a lot of regeneration going on. Our pick of the best places to stay in Tennessee offer a wide range, whether you're looking for a Smoky Mountain retreat or contemporary lodgings in the city centre. The Hutton Hotel is an environmentally friendly contemporary design hotel in the heart of Nashville with 250 rooms and a well known restaurant, the 1808 Grille, which specialises in traditional Southern dishes with an international edge. Only blocks away from Music Row. The River Inn of Harbor Town is a welcoming hotel with an Old South/ Old World feel - think cracking fireplaces, art and antiques and four-poster beds. There’s a rooftop with panoramic views and Paulette’s continental restaurant. 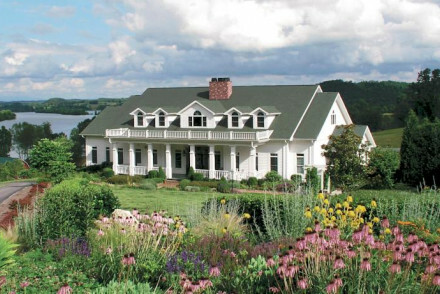 The Whitestone Country Inn is a wonderful 22 room B&B sitting on 360 acres of its own secured land bordering onto the beautiful Watts Bar Lake. Perfect for fishing or sailing, or walking, or kayaking, or just relaxing, this converted farmhouse and outbuildings is a haven of peace in the great outdoors. 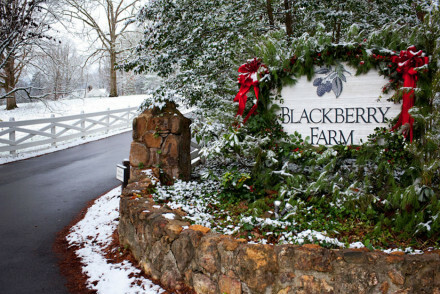 Blackberry Farm in Walland, is a working farm with 69 romantic rooms, set against a stunning landscape. It might sound incongruous that a farm might be romantic, but the large rooms and plush facilities - including a spa - and the choice of two restaurants, does make it very luxurious as well as ‘working’. 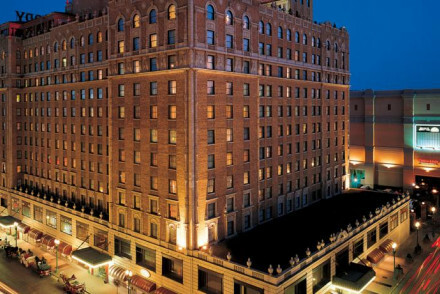 The Madison Hotel in Memphis started life in 1905 as a bank, but it’s now a 110 room boutique hotel with large windows and contemporary furnishings. And spa baths. There’s a great roof terrace overlooking the Mississippi. Still not sure which to book? Browse through our list of all the best places to stay in Tennessee, or contact one of our friendly Gurus for advice. 1905 bank turned boutique with original features, ornate tiled floors and large windows, complete with contemporary furnishings. Elegant, comfortable rooms with city views and spa bath tubs. Must try the World cuisine at Eighty3 and catch the sunset over the Mississippi from the Sky Terrace. Fishing - Herb Parsons Lake is a Reservoir lake which sees runners and fishing lovers. Sights nearby - Graceland, former home of Elvis Presley, is open to the public. An historic hotel dating back to 1869, known for its resident duck walks since 1933. Opulent, traditional decor, a top rated French restaurant, the famed Lobby Bar, indoor pool, hot tub and a full service spa. 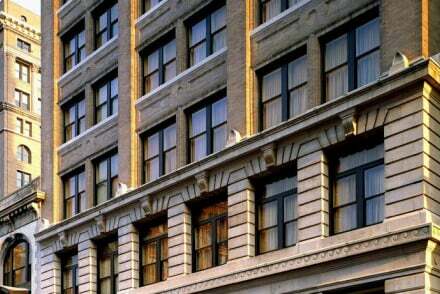 A haven for business and leisure travellers, ideally located in the centre of Memphis. Sights nearby - Graceland is a 10 minute drive away. Romantic, intimate boutique working-farm in stunning landscape with spa and private lake. Large rooms are home from-home with fireplaces and plush beds. The Barn is award-winning while newly open The Dogwood also makes the mark of unique southern cuisine. Check out the cellar. Activities for all. Sights nearby - Paintballing for groups is a fantastic way to get active - Games include a protective mask, gun, CO2 and paintballs. Kayaking - Let the tour guide share stories of flowers and wildlife while taking in the stunning scenery from the lake. Birdwatching - Birdwatching in the winter months is a great past time. This charming and characterful B&B resembles a village, complete with farmhouse, cottage and southern lodging. Rooms are quaint and pretty with wooden beds, bold colours and spectacular views. The property sits on 360 secluded acres bordering the breathtaking Watts Bar Lake. Fishing - Fishing or boating on a 39,000 acre Tennessee lake is available at the inn’s dock. Kayaking - Use the hotel kayaks and canoes to explore the beautiful lake! Back to Nature - The property is bordered by Paint Rock Wildlife Refuge.